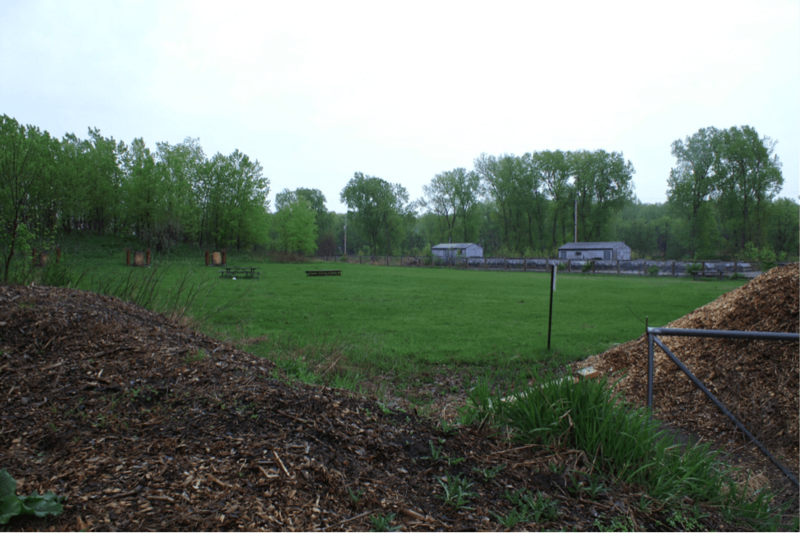 Some years ago I traveled to a small Minnesota town to check out a “new” archery range. This was before my work on the Archery Park Guide, a tool created to help communities navigate archery range development. The city’s existing range had to be moved and staff found a nice spot next to the city’s wastewater treatment plant. That trip, among many other experiences, prompted this story. And by way highlighting what to avoid, we can learn how we might immolate the approach of other recreational sports facilities to ensure success. Wiktionary describes the “back forty” as “the most remote or inaccessible part of any place.” I am amazed at how many times in the past 10 years I’ve gently steered a local enthusiast away from this type of location. Perhaps even worse is when they’re built next to the city dump or sewage treatment plant – so, the “waste back 40” then. Really? Last time I checked, the sport didn’t have deep pockets. Placing a range in the “back forty” by definition means a big budget for site development. Archery, at its core, only requires targets, bow racks, line markers and a few other specialized features and, therefore, is not that expensive. Site development costs, road construction, bathroom facilities and other amenities typically found in recreation centers/complexes are. Solution: Look for space within local parks or recreation complexes with infrastructure already in place. Archery shooting entails risks, but like every sport, find ways to mitigate those risks. If you’re using space instead of berms or natural barriers for safety areas, more area is needed, but that doesn’t mean typical recreation areas must be immediately excluded. Creativity is key. We don’t really want “those people” to find archery, do we? The first step is to make sure there is no mention of the archery range/park on websites or social media. Or, designate an address that won’t be recognized by any modern mapping technology (a PO Box is good). We wouldn’t want those electronic-addicted kids showing up, for sure. In my past experience with ranges, this is the toughest one to crack. I “Googled” several nice community archery parks built more than 2 years ago that are still not mentioned on the community’s website. Lack of signs is another sure-fire way to hide. Don’t include “archery” on the list of recreational activities featured on entrance signage at outdoor sports facilities. If it isn’t located on Main Street, definitely don’t install any directional signs. Solution: While planning an archery range project with a community, treat it like it’s any other recreational sport. Ask community leaders when the same information as baseball or the recreation center will appear on the city’s website. Offer to help draft the needed content. Insert all directional, entrance and other signs into the development budget. Include sign placement, website development and even a grand opening event in the project’s timeline. • Make sure the entrance is gated, locked or covered with barbed-wire and prominently display plenty of danger signs. • Avoid displaying hours of operation or any indication of a good time to return. • Keep maintenance to a minimum to remain as unattractive as possible. • Provide porta-pots instead of real facilities (that’s what the woods is far, after all) and only clean it once per year. If they remain fearless and enter anyway, avoid introductions, smiles or any welcoming gesture. In fact, ridicule the equipment of anyone who’s not using your favorite brand(s). And for the absolute neophyte, do not offer programs, introductory events or any other activities that might keep them engaged and coming back. The objective here is to look scary and be scary so you can keep it all to yourself. Solution: Think of how you, your children or grandchildren would like to be treated at the local recreation center. What would they need to feel safe, welcome and have fun? Think about amenities like lights, bathrooms, garbage cans, picnic tables, vending machines and whatever else you’ve come to expect in any good business and make that a part of your archery project. All kidding aside, please see the ATA’s Archery Park Guide or Easton Foundation’s Archery Facility Planning Guide for ideas on archery range design, risk management for archery and a few case studies. Then, check back for “Archery Range Advocacy” coming soon. Here’s additional sarcasm, lightly mocking a few common archery behaviors, see this great video on Archery Stereotypes.